This mod adds in the generation of the world bonus chest that will be useful things. The same feature is found on the PC version of the game and it is very useful to start. 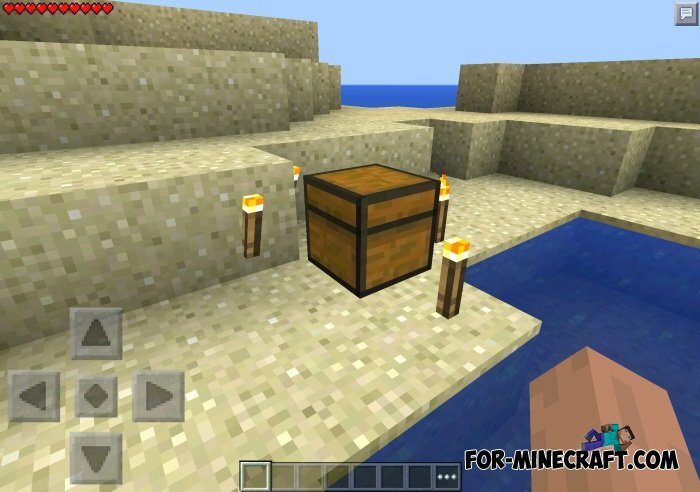 Chest Creative mod for Minecraft Pocket Edition 0.10.5The script adds a creative inventory all items that have not been, and will also open chests in creativity. Betters Droper mod for Minecraft PE 0.10.4If you die in the game, then revived you can find a special chest in which to store your things. Find this chest you can place on your death.